My husband and I love to travel and see new things. Now that we have kids, we love getting to show them new things too. We find that it helps them expand their horizons, see things in a new way, and develop an interest in history. 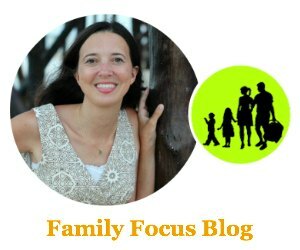 That’s why we took three weeks out of our summer to travel with our kids this summer. We did a Southwest Road Trip that focused primarily on New Mexico, Arizona, Utah, and Colorado. One of the highlights for me of the whole trip was our stop in Cortez, Colorado to visit the Mesa Verde National Park. It was not only beautiful, it was also interesting to learn about the history of the Pueblo people, see their ancient cliff dwellings and then to get to discover the modern high dessert town of Cortez. The Cortez Mesa Verde KOA made the perfect base camp for our explorations. 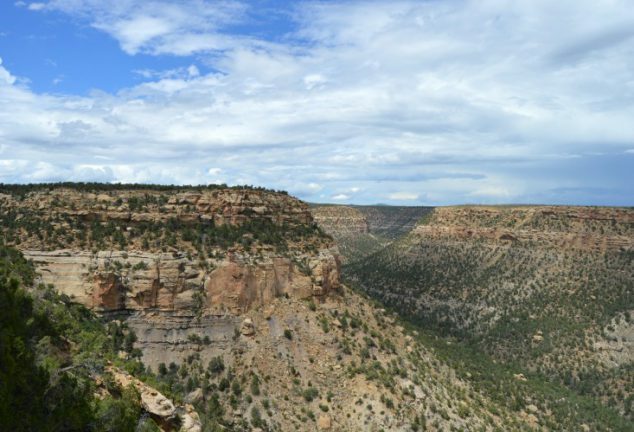 Why Visit Mesa Verde National Park In Colorado? We have loved every National Park we have been to. Nature has so many beautiful forms and there is something about getting out and being surrounded by the outdoors that helps reset my soul, it is just so calming and soothing. 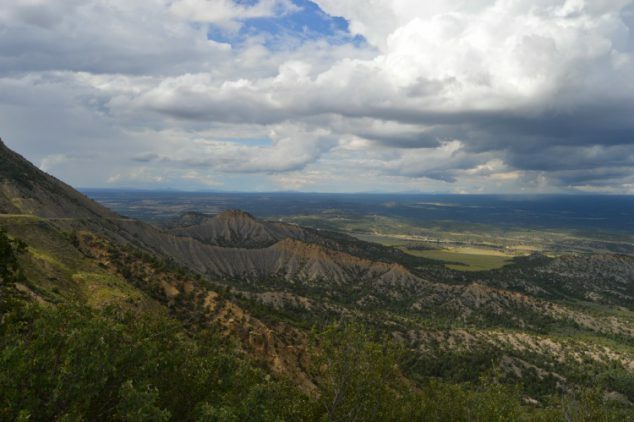 Mesa Verde National Park is high dessert terrain and you will see sagebrush, Utah juniper, yucca, and gambel oak and possibly lizards, hummingbirds, and Black-tailed jackrabbit. Mesa Verde means green table in Spanish and it offers stunning views of canyons, valleys, and mountains. 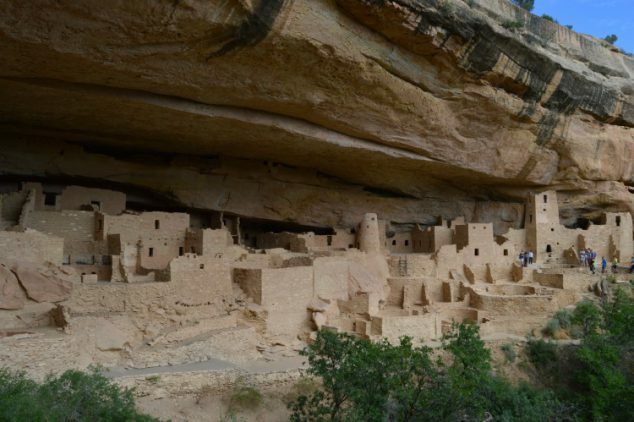 The thing that Mesa Verde National Park is probably best known for is its ancient cliff dwellings which are some of the best preserved in the United States. The Ancestral Pueblo people made Mesa Verde their home for over 700 years, from AD 600 to 1300. They hunted and farmed on top of the mesa at 7,000 feet elevation and made dwellings in the cliffs below. The Mesa Verde National Park protects nearly 5,000 known archeological sites including cliff dwellings and petroglyphs (prehistoric rock carvings). Oh and it is a World Heritage Site! View of Mesa Verde National Park from the Balcony House. 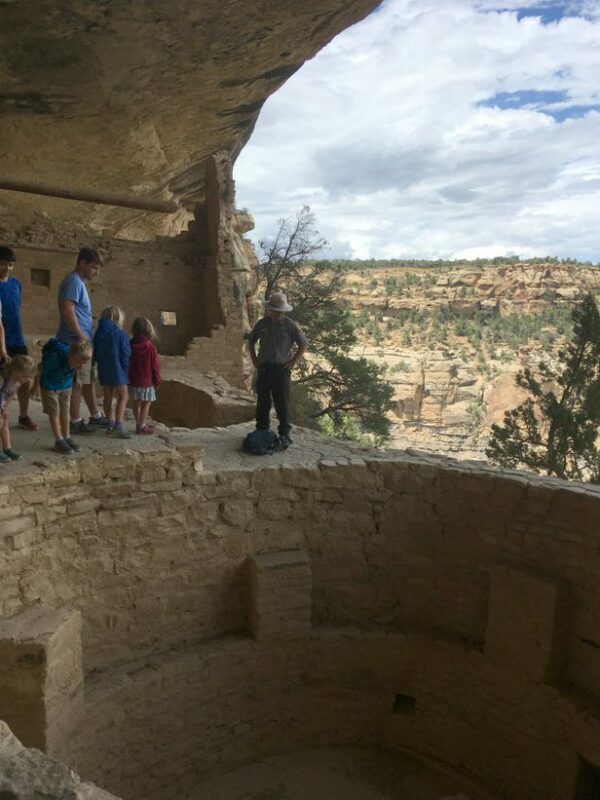 While you can explore Mesa Verde National Park on your own, you do have to purchase tickets for ranger-guided tours of the cliff dwellings ahead of time. We got our tickets at Mesa Verde Visitor and Research Center. We went on two tours and we were so glad they were guided tours because both rangers did an amazing job at sharing history and perspective. You could tell they both loved their job and their enthusiasm was catching. 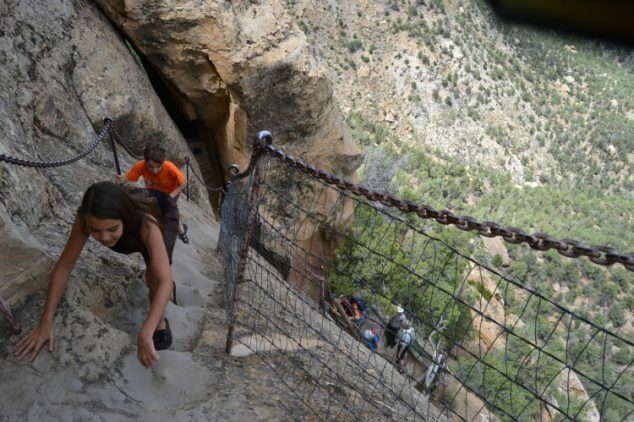 There is a great viewing point for the Cliff Palace Mesa Verde, so if you have someone who is scared of heights, they can still enjoy seeing it without making the journey down and back up again. But, it is well worth the trip if you are able to take the tour to see it up close and to imagine what it must have been like to live there. 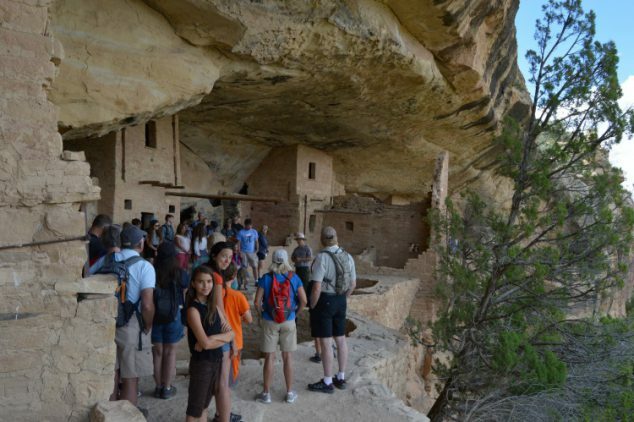 Cliff Palace contained 150 rooms and 23 kivas and had a population of approximately 100 people where most of the cliff dwellings contained 1-5 rooms so it is thought that this exceptionally large cliff dwelling may have had special significance. The ranger said the Balcony House was the toughest trail and I suggest wearing sneakers but I was also amazed to see 4 year olds trooping along for the hike and climb so it is totally doable. Balcony House is a medium size cliff dwelling and has 40 rooms. It is more tucked into a ledge and has some tight passageways. It is such an amazing place to visit and you will want to send some photo postcards to your family! 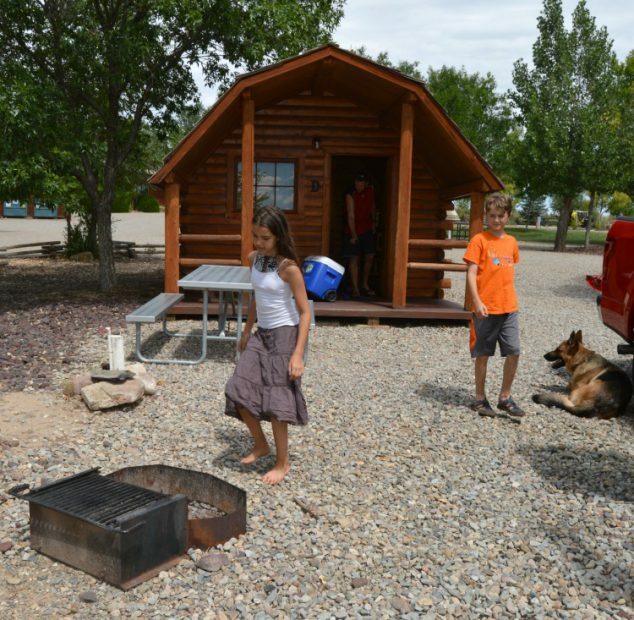 We used the Cortez Mesa Verde KOA as our home base for exploring the area. The Cortez Mesa Verde KOA is only about 10-15 minutes to the Mesa Verde National Park entrance. 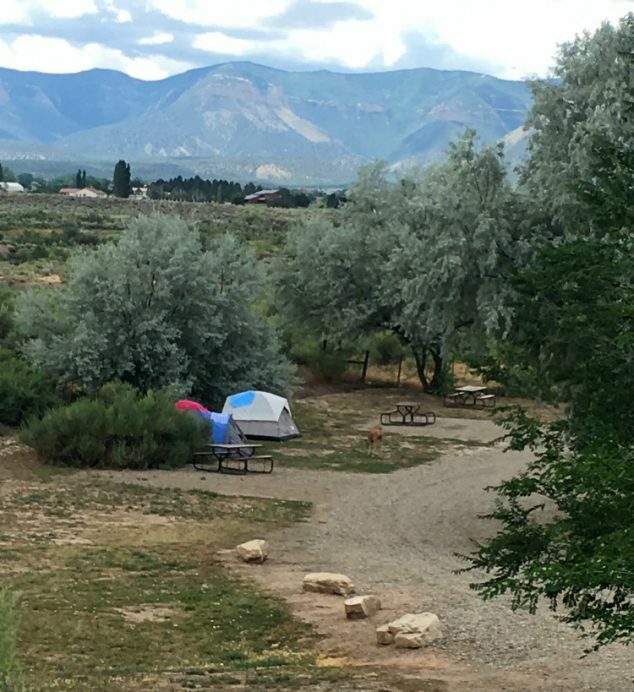 We chose cabin camping although the Mesa Verde National Park also offers primitive camping, camping with water & electric, teepee camping, and RV camping sites. After coming from some hot days of camping in Utah, we were looking forward to the air conditioned cabin. Another reason we chose the cabin camping is you can’t bring dogs in the Mesa Verde National Park so we needed a safe, climate controlled place to leave our pooch during our tours. We got approval to leave him in the cabin in his crate while we were gone. I did receive a comped media stay in order to facilitate this review. 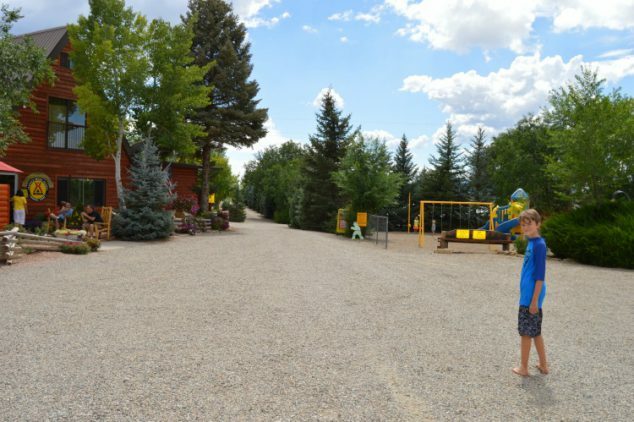 All camping cabins at the Cortez Mesa Verde KOA are one room cabins without bathrooms (you use the nearby communal bathroom). 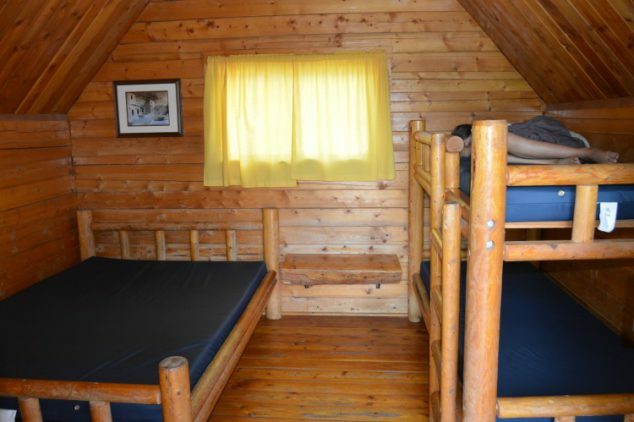 They sleep four with a double bed and a bunk bed (bring your own bed linens or sleeping bags). The cabin has a nice size porch with a bench. Each cabin has its own fire pit/bbq pit, picnic table, and water spigot. 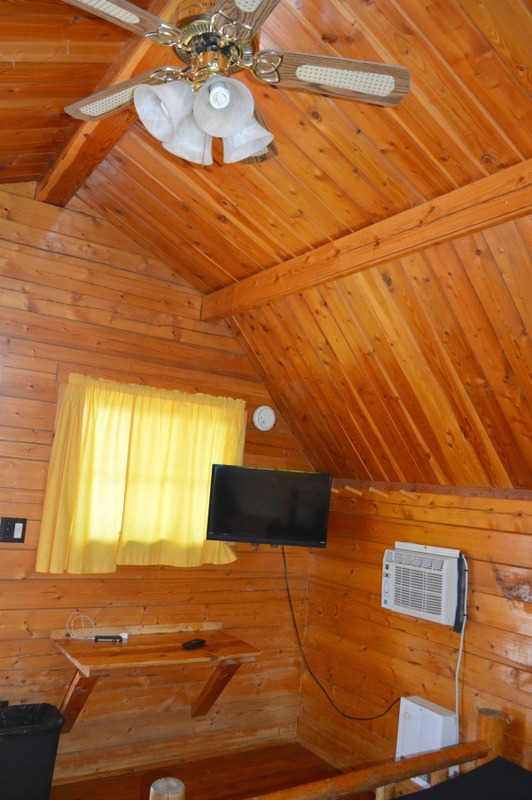 The cabins have heat, lights, outlets,ceiling fan, air conditioner, tv, and access to wifi. The cabins also have a beautiful view. They are elevated and look out over the primitive camping sites where I saw deer grazing in the early mornings. They also have a great view of the mountains. It has a classic Colorado feel to it. Amenities include a very nice pool surrounded by a flower garden, a playground, grocery store and gift shop with the essentials, pay laundry machines, and a community lounge. There is also have a 1-mile walking trail around the small Denny Lake (you can fish) and a 3-acre enclosed dog park accessible from the Cortez Mesa Verde KOA. 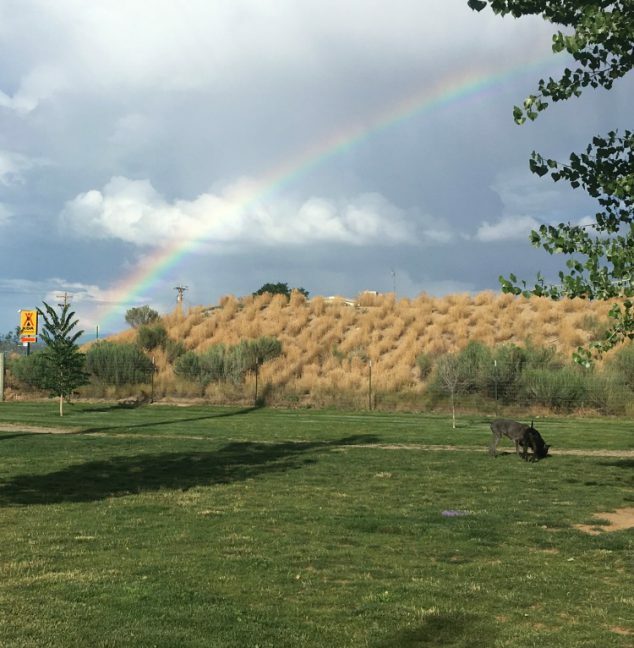 I spotted a rainbow while at the Cortez dog park. We loved our stay. It was so conveniently located to explore Cortez and Mesa Verde. 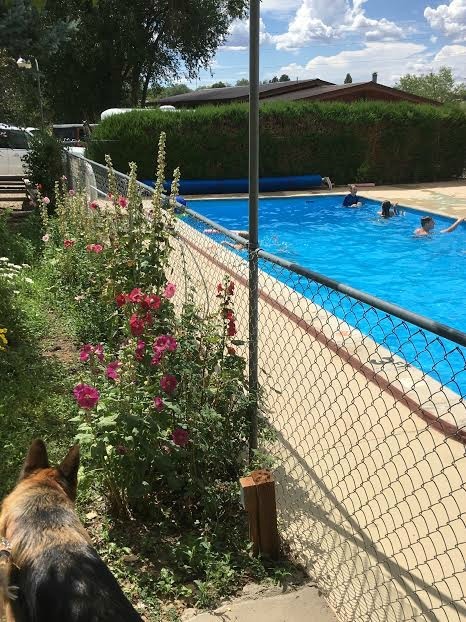 It was so pet-friendly for our dog and our kids loved the pool. We were happy cabin campers! You can find more info on the Cortez Mesa Verde KOA website. 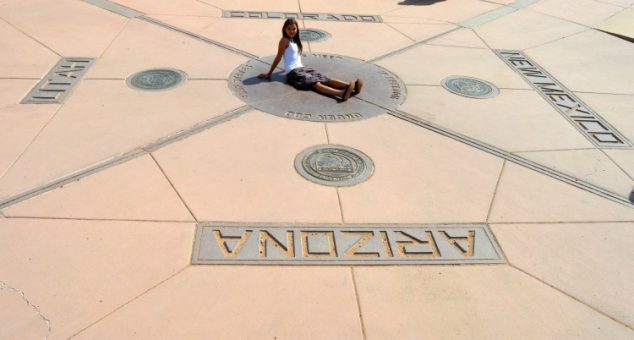 It is also near the Four Corners Monument where Colorado, New Mexico, Arizona and Utah meet. We couldn’t resist the photo opportunity. Have you ever been to Mesa Verde National Park? Are you planning a trip? Cortez is one of my favorite places in the US! We actually drove through ourselves this summer on our way back to home from Utah. Unfortunately, it was downpouring so we hung out in the cultural center gift shop before continuing on our way. I was really sad we had to bypass the cliff dwelling with the kids. Next time. Did you stay for the Native American dancing they have in the evenings? It’s such a neat experience. I missed the Native American dancing! Now I guess we’ll have to go back:) There really was so much more to do there than we had time for in just two days.